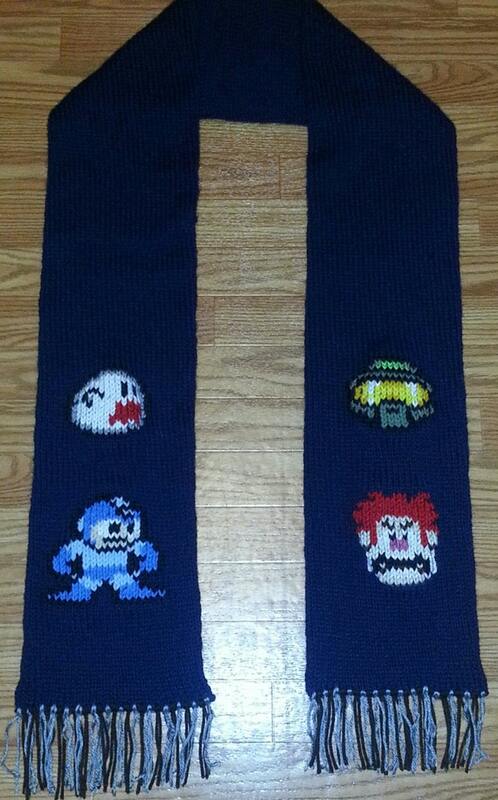 This year I'm working on a Mega Man scarf... shhhh don't tell! I did one really cool custom scarf for someone last winter. I really enjoy custom projects; I wish more people would take me up on that!